One of the biggest questions we get from marketers today is what channel will help grow my business, how do I choose between digital and television – I’d like you to meet Christine Hunsicker – serial entrepreneur and the brains behind the enormously successful women’s on line clothing rental service Gwynnie Bee. You know I think I come from online advertising. My previous company was in the online advertising space, and I’ve been a big believer in direct response television for many, many years. I love how measurable it is, I love that it is a very clear call to action. I have previously been sold on the fact that the web is a way to go. When we’ve been trying to grow and scale up the business, you start realizing that the number of eyeballs that you need, and the ubiquitousness of the message, actually TV is the way to go. And it’s not about one or the other, it’s about how do you bring together a comprehensive strategy that allows TV to boost your online marketing, that allows online to drive interest on your TV. I think direct response is a no brainer given that we have a call to action. The idea of combining multiple different types of channels, I think is an exciting place that we’re moving to as a company. And then I asked her how will television advertising help communicate the unique offerings of Gwynnie Bee? I think our service because it’s so new and it’s so different, a static ad or a static image does not convey what we’re trying to get across. You need to hear from the women who have experienced it and why she likes it. So the format of DRTV is perfect. I can’t think of a better service for this type of format. I’ve also grown up watching and being obsessed with infomercials. I love them as a way to get people excited and understanding the different value props that a product or a service has to offer. conversions, which are sign up now. I think that’s the biggest thing, I mean that’s what we’re looking for. We’re looking for exposure that will help our online campaigns dramatically, so we’re looking for TV marketing to lower the price of what we pay online. We were excited about the prospects of strategizing and creating the Performance Marketing campaign from the get go. We could sense the potential based on Gwynnie Bee’s initial success and unique product – but what was it that attracted Christine and her team to Script To Screen and M2? What was important to us on the partner side was somebody who’s got experience. 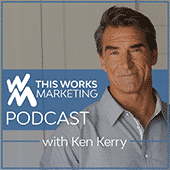 We talked with a number of different firms and agencies and we really wanted somebody who had done recognizable products before, who’s had success – this is what they do. They understand DRTV, so it’s in their DNA. So that was one of the big things we were looking for. We were also looking for somebody who gets the service, and really takes the time to understand where we were coming from. DRTV is, on the one hand, formulaic, but the words that you use and the individual choices that get pulled out, the themes that get pulled out, is really where the magic is. We really needed to work with a group that was going to understand what it was about our services that was unique, why our members loved it and we could weave that in to every precious expensive second on air. Look, I think you always want a one stop-shop. I mean I think it just makes life so much easier. We don’t wanna be the ones coordinating all of the different pieces; it’s not our job. Our job is to deliver a service to members; that’s what we do. So we wanted to have someone else that do what they do best, and someone who was gonna think about, handle, has worked with and has rapport with all of the different constituents. last but not least, a desire to win an industry award for excellence, the Moxie Award. Now we’re on to the Moxi award as a second goal and after seeing what’s been happening today, I have no doubt, we’re a shoe in! Yeh! 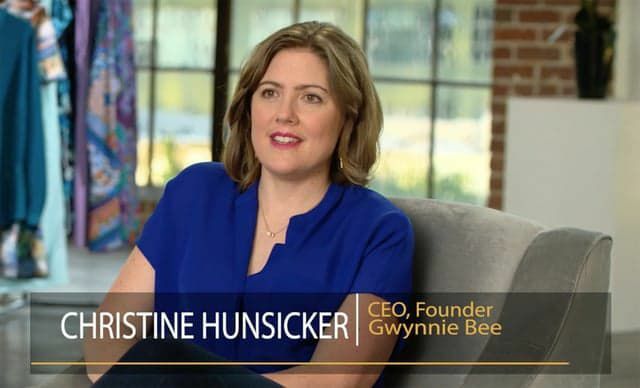 Gwynnie Bee is another example of how we’ve been able to help make a subscription-based e-commerce company successful with a performance-based television campaign. If you’d like more information and successful case studies, visit ScriptToScreen.com.